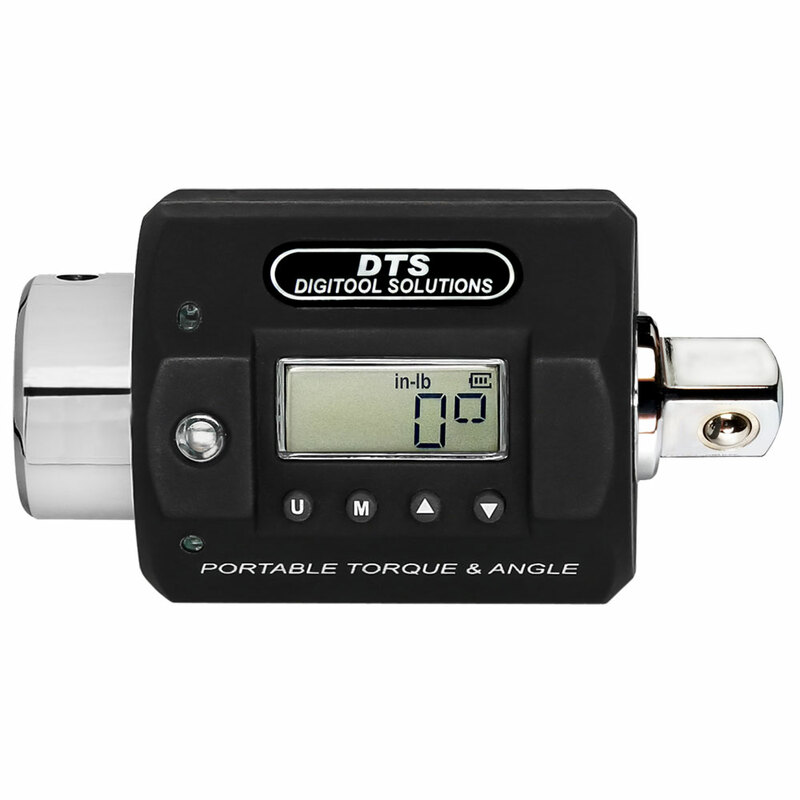 The “SPA” series of self-contained electronic torque and angle meters are built on a Digitool Solutions’ exclusive rotatable platform. These meters transform any wrench or non-impact driver into a high-precision torque and angle instrument. 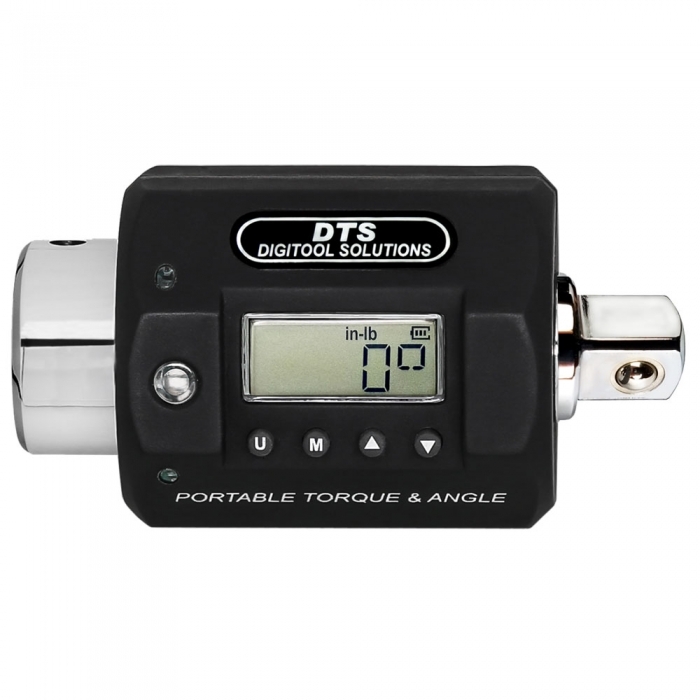 A high-contrast LCD display and simple push-button preset adjustment provides an intuitive user interface for torque, and/or angle settings. The tri-colored visual indicators, an audible signal and a tactile vibration alert, signals early warning and preset attainment of torque and angle application as well as over-load conditions. Built on a robust square-drive extension and installed between the tool and the application being tightened, these meters are free of hand-hold position error that is typical of common torque wrenches. We currently have six models, with square-drives covering 24 “in-lb” to 600 “ft-lb” and 3 to 813 “Nm” scales. 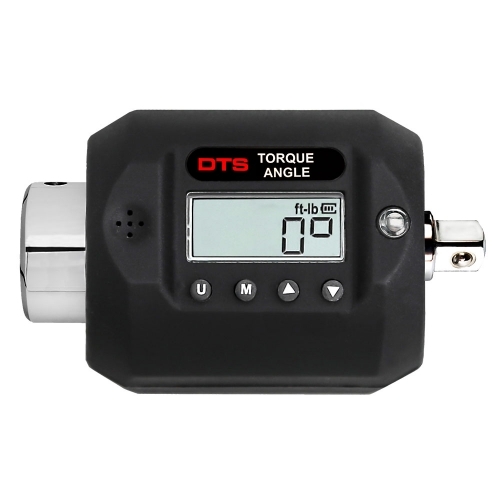 The tools function in both CW and CCW directions while maintaining torque measurement accuracy within ±1% and angle measurement accuracy to ±1°of rotation. The meter is useable down to 4% of full-scale torque setting while retaining ±3% display accuracy. Extra precision torque sensing and higher resolution analog to digital conversion, the SPA is intended for critical industrial, aerospace, laboratory and quality control applications. The sturdy glass filled nylon housing is robust enough for tough field use. A built-in rechargeable Li-Ion battery system provides 200-hours of continuous operation. A global 110-240V AC wall transformer is included. This meter used with any wrench, breaker bar, hand driver or non-impacting power tool, is compliant with both ISO and ASME B107-28 (Type 1) Standards. A certificate of calibration with N.I.S.T. traceability is provided with each meter.